We’ve recently added a calendar to the website. There are a few features that you may find helpful. You can sort calendar items at the top left by Type of event. Click on the “Categories” link. You can see a variety of views of the calendar: agenda, day, week or month. You can switch the view at the top right corner of the calendar. You can subscribe to the calendar at the bottom right corner. 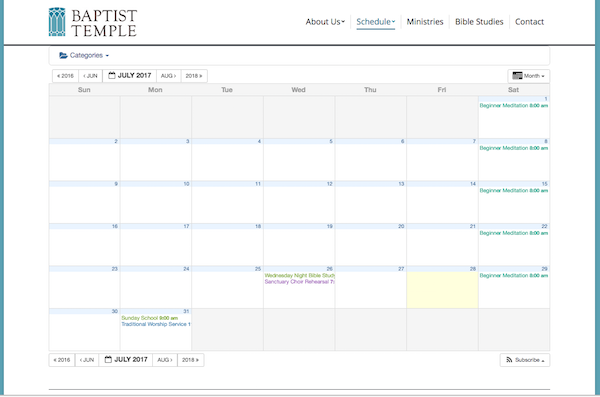 You can very easily import the Church Calendar Events into your personal calendar on Google, Outlook, Apple or other calendars.